A college student is well on his way to creating the next social networking craze, BeforeIGraduateCollege.com is already on 90 college campuses. The website has one simple mission, to help students complete their goals. The creator is a Towson University student named Steven Weinstein who is hoping that the site will hit a million registered users soon. Weinstein got the idea while in class when a friend told him about her Bucket List. Students can list their college and life goals and can share it with others. The goals can be rated as top rated or worst rated, and you can join together with others to help accomplish your goals. It's simply a mini social networking site where students can go on and post their goals. For example, you want to go skydiving and you post it as your goal, another user sees the goal and knows a friend who wants to go skydiving also or owns an airplane, they can now like your goal and contact you to organize. This is a great idea because it increases your chances of getting your life goals fulfilled. For many High School Students the dream of attending College may not become a reality without the help of additional money. And there is nearly $3 Billion out there just waiting to be claimed. In this video Katherine Cohen who is a College Expert and Founder & CEO of IvyWise discusses how to make college more affordable by leveraging billions of dollars available in scholarships, and gives tips on how to receive a scholarship. As teens and parents start to fill out those intimidating college applications, Princeton Review has teamed up with USA Today to release it's list of The Top 100 Colleges that offer the best value. Most important advice is always apply for financial aid not matter what, you never know. Take a Look.. The best thing about back to school season isn't the cafeteria food or pledge week, it's having mom and dad buy you a new laptop. Whether you've got a blank check from your parents or on a tight budget there is a perfect laptop out there for your academic adventures. First decide what activities you are going to use the laptop for. Now if I'm running around campus all day, I want something small and light as possible. If you're just looking to use he laptop for class work and web browsing, then a light weight laptop is the way to go. However, if you need your laptop to do more, something more bigger and powerful will be needed. 1) The build quality of a laptop is more important than you might think. Not only are poorly built laptops more likely to break down, but their more likely to have overheating problems and therefore run slower. If your laptop is going to be leaving the house several times a week, build quality is more important than it is if your not going to leave the house very often. Look closely at the laptops in stores, read reviews online, and ask friends or neighbors how their laptop worked for them. 2) Similar to build quality, Look at the quality of the keyboard, this is especially important if you will be doing a lot of typing. A poorly constructed keyboard will become frustrating to type on. 3) Mobility versus screen size, if the laptop is rarely going to leave the house then your going to be better off with a laptop with a 15 to 17 inch screen. However, if you're going to be taking the laptop to school or a cafe on a regular basis you probably want something more mobile in the 12 to 14 inch range. Although you should look at the actual weight of the laptop not just the screen size. 4) Specifications, I recommend everyone stay away from single core processors these days. You might think you don't need more than a single core if you're only doing basic tasks like surfing the web, but you might be surprised how draining seemingly simple tasks can be when you have several programs open at the same time. 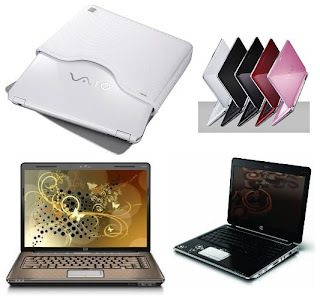 Furthermore budget laptops are only slightly more expensive than the single core laptops that are less expensive. A dual core laptop should be able to handle average computing needs.